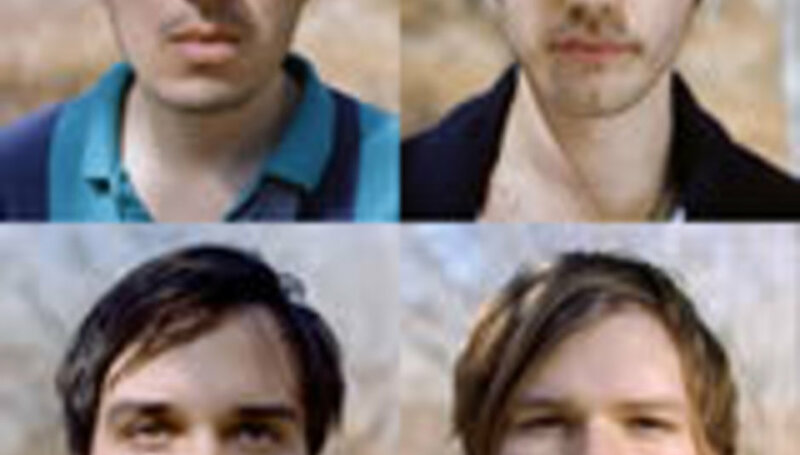 First up, how far down the road is the new Grizzly Bear record? Very far! I would say we are nearing the last 20 percent of it, just got a bit more tracking to do. We've hired a children's choir which will likely be the last thing we have to track. We plan on recording that in early December, we're going to compose the parts and get them in to perform on maybe three or four of the songs. Once that's done we just have to finish mixing (which we've already begun) and master it. It looks on schedule for an April or May release. Great! I can't tell you how excited we all are about it. It's definitely got more variety, higher highs and lower lows. [It's] much more dynamic and [has more] breadth in sound, not to mention a much more collaborative approach to the songwriting. With Yellow House, most of the songs were individually written by either Daniel [Rossen, guitarist] or myself beforehand and then brought to the table, whereas a lot of these were written as a band or brought in at very primitive levels and then fleshed out together, which means more shared lead vocals and back and forth interplay between everyone. Who's producing and where's it being recorded? Chris Taylor [band member and Yellow House producer] is producing, and we've recorded a little under half of the record up-state at a place called Allaire Studios, the other half we've just completed on Cape Cod at my family's summer house. There's just a bit left to finish in Brooklyn in the coming weeks. Are the new songs 'Two Weeks', 'While You Wait For the Others' and 'Fine For Now' still in contention for the record? They will all be on it, definitely, with a few changes here and there but largely in tact as you have heard them. One thing we are trying to do is capture our live sound. So many people kept asking us for live recordings or mentioning how they preferred the live versions to the recorded ones, so we're trying to be a bit faithful to our live sound, whilst still keeping the texture and layers we enjoy. The drums will also be showcased more on this album, as they were sort of hidden last time around. After playing with an orchestra last year [Wikipedia reports they performed with the Los Angeles Philharmonic in March], have you been at all tempted to pursue that sort of direction? Nico returns from Europe - he's a very busy man! After the success of the Friend EP, and its guest covers, are you planning on getting your friends like Beirut and Dirty Projectors involved on the new album? Or is it going to be solely a Grizzly Bear affair? Other than Nico Muhly, and perhaps a guest backing vocal from Victoria Legrand of Beach House on 'Two Weeks' it will be largely a Grizzly Bear-only album. I've got to tell you, though, I'm infinitely more excited and proud of this record than Yellow House, I think we all are. Don't get me wrong, we all have a soft spot for that record but we were ready for a new album and a bit of a change. I feel strongly about every track we've chosen for the new album, and just can't wait for it to be finally done and to get back on the road to support it. Photos from the sessions can be found over on the band's blog. "It's not a concept record, don't worry"